Jeune Premier JP pen pocket by Jeune Premier Pen pocket Cherry - Jeune Premier The handsome Belgian pencil cases, backpack and schoolbags brand Jeune Premier has now designed a range of bookbags, schoolbags, penbags and backpacks that are very budget-friendly and still very nice in terms of design and comfort! The JP collection by Jeune Premier. 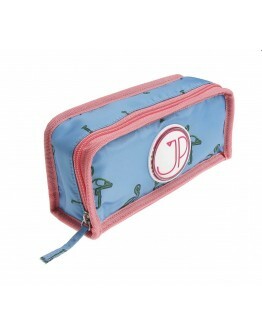 This fun pen bag with Cherry print - Jeune Premier by JP is hip, cool and spacious, the penbox is pretty, very lightweight and functional. The pen p..
Jeune Premier JP pen pocket by Jeune Premier Pen pocket Dino - Jeune Premier The handsome Belgian pencil cases, backpack and schoolbags brand Jeune Premier has now designed a range of bookbags, schoolbags, penbags and backpacks that are very budget-friendly and still very nice in terms of design and comfort! The JP collection by Jeune Premier. 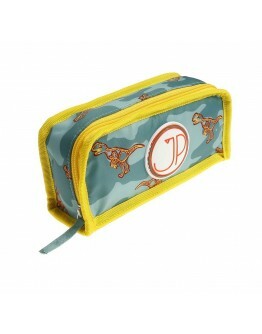 This fun pen bag with Dino print - Jeune Premier by JP is hip, cool and spacious, the penbox is pretty, very lightweight and functional. The pen pocke..
Jeune Premier JP pen pocket inspired by Jeune Premier Pen pocket flamingo - inspired by Jeune Premier The handsome Belgian pencil cases, backpack and schoolbags brand Jeune Premier has now designed a range of bookbags, schoolbags, penbags and backpacks that are very budget-friendly and still very nice in terms of design and comfort! The JP collection by Jeune Premier. This fun pen bag with Flamingo print - JP inspired by Jeune Premier is hip, cool and spacious, the pencil box is pretty, very..
Jeune Premier JP pen pocket inspired by Jeune Premier Pen pocket kaki green - inspired by Jeune Premier The handsome Belgian pencil cases, backpack and schoolbags brand Jeune Premier has now designed a range of bookbags, schoolbags, penbags and backpacks that are very budget-friendly and still very nice in terms of design and comfort! The JP collection by Jeune Premier. This fun pen bag with Kaki Green print - JP inspired by Jeune Premier is hip, cool and spacious, the pencil box is pretty, ..
Jeune Premier JP pen pocket inspired by Jeune Premier Pen pocket lightning - inspired by Jeune Premier The handsome Belgian pencil cases, backpack and schoolbags brand Jeune Premier has now designed a range of bookbags, schoolbags, penbags and backpacks that are very budget-friendly and still very nice in terms of design and comfort! The JP collection by Jeune Premier. 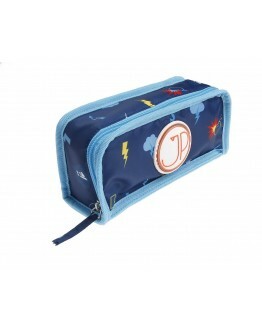 This fun pen bag with Lightning print - JP inspired by Jeune Premier is hip, cool and spacious, the pencil box is pretty, ve..
Jeune Premier JP pen pocket inspired by Jeune Premier Pen pocket pink rainbow - inspired by Jeune Premier The handsome Belgian pencil cases, backpack and schoolbags brand Jeune Premier has now designed a range of bookbags, schoolbags, penbags and backpacks that are very budget-friendly and still very nice in terms of design and comfort! The JP collection by Jeune Premier. This fun pen bag with Pink rainbow print - JP inspired by Jeune Premier is hip, cool and spacious, the pencil box is pret..
Jeune Premier JP pen pocket by Jeune Premier Pen pocket Unicorn - Jeune Premier The handsome Belgian pencil cases, backpack and schoolbags brand Jeune Premier has now designed a range of bookbags, schoolbags, penbags and backpacks that are very budget-friendly and still very nice in terms of design and comfort! The JP collection by Jeune Premier. 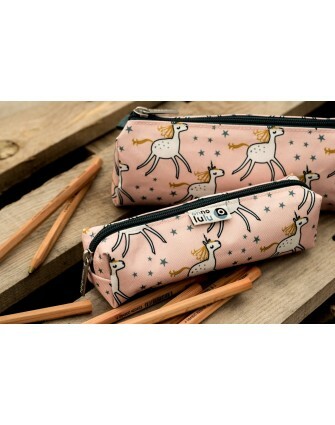 This fun pen bag with Unicorn print - Jeune Premier by JP is hip, cool and spacious, the pencil box is pretty, very lightweight and functional. The..
LilliputiensLilliputiens pen pocket LizLilliputiens pen pocket Liz. Are you feeling in a creative mood? Then quickly get your pen pocket Liz above. 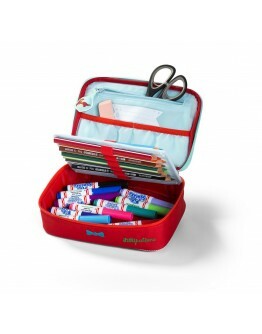 You will find there all the necessary to have a nice drawing for mom and dad.A pen pocket with a zipper and with water resistant fabric on the inside. Possibility to add name and phone number inside. Small pocket on the front with clittentape closure. Starting from + 0 m Size 10 x 21 x 7.5 cm Material 100% polyester Machine washable 30 ° (delicate ..
LilliputiensLilliputiens pen pocket NicolasLilliputiens pen pocket Nicolas. 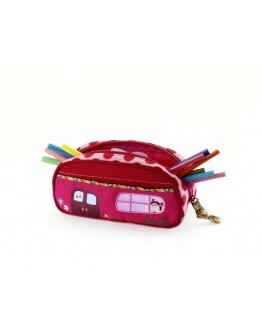 Take all you need in your Nicolas-pencil case! Pencils, markers and pens: everything has a place thanks to the valve with rubber bands and the pouches for all your accessories. Equally close zippers and voila, ready for school! Have fun! Starting from + 2.5 y Size 15 x 21 x 6 cm Material 100% polyester Washable at the surfaceLOOKING FOR THIS LILLIPUTIENS PEN POCKET NICOLAS OR ORIGINAL TOYS - EDUCATIVE TOYS - TOYS FOR EV.. 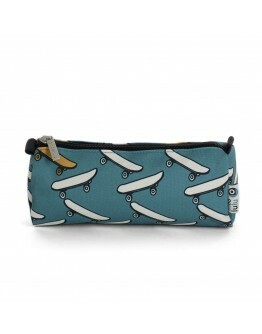 Handsome blue pen case with fun skateprint. Perfect to take with you to school. Easily zipper to open en close the pencase. 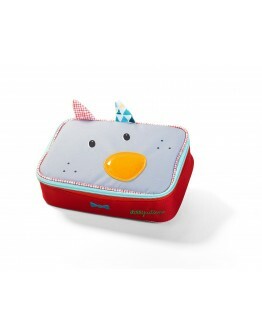 Perfect size to put into your schoolbag! Rain-resistant canvas and made from recycled PET bottles, perfect for the environment! Size: 21 x 8x 6cmMaterial recycled PET bottles.. 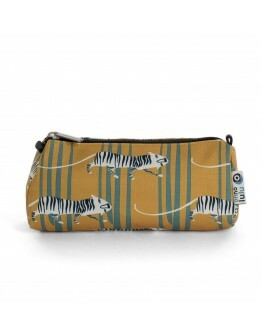 Handsome ocre pen case with fun tigerprint. Perfect to take with you to school. Easily zipper to open en close the pencase. 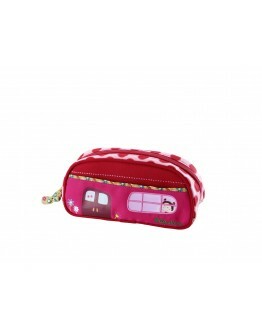 Perfect size to put into your schoolbag! Rain-resistant canvas and made from recycled PET bottles, perfect for the environment! Size: 21 x 8 x 6cmMaterial recycled PET bottles.. 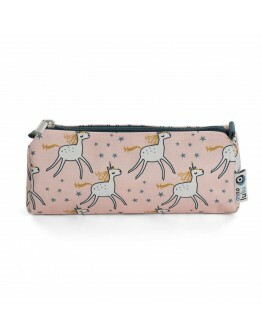 Handsome pink pen case with fun unicorn print. Perfect to take with you to school. Easily zipper to open en close the pencase. 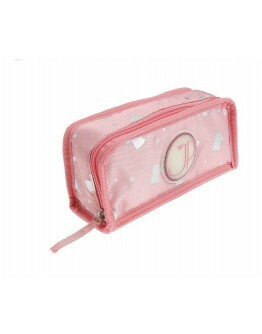 Perfect size to put into your schoolbag! Rain-resistant canvas and made from recycled PET bottles, perfect for the environment! Size: 21 x 8 x 6cmMaterial recycled PET bottles..